My file seems to run slow when I go to my "Master View" and it might have something to do with 10+ sets of Master slides. I'm having trouble deleting master slides in my project. I imported slides from a project from last week and it duplicated the same master slides. I now have 10+ and I have made sure they are all using one set of master slides. I cannot delete any of the ones that say the slides are "used by no slides"
The preserve button is locked and looks highlighted with the text dimmed. When I right-click any of the unused master slides, it has "delete" and "preserve" text dimmed. Well, now it has broken my open file. When I went to Master View, it has locked up while trying to load all of the Master Slides. 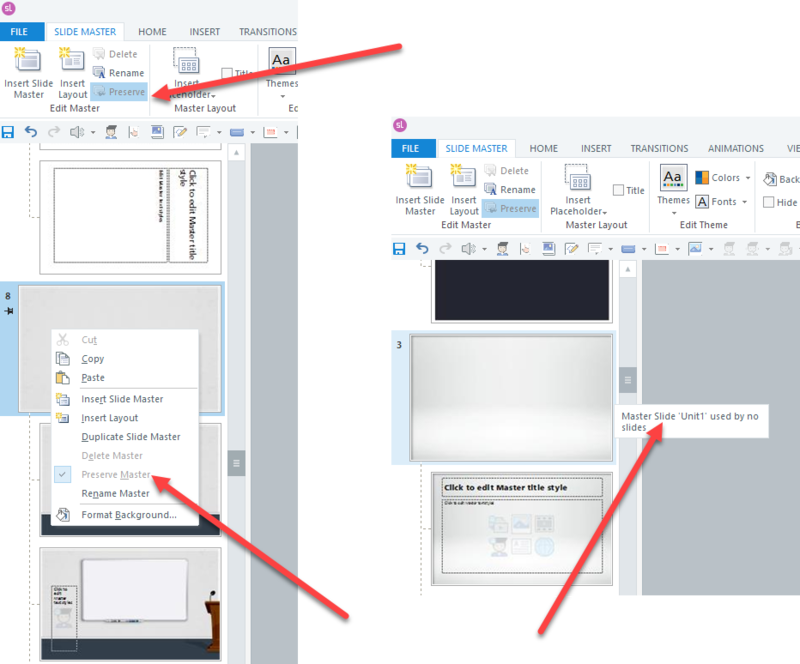 I had started a new Storyline file and Imported the project slides (Hoping I could escape from the unused Master Slides), and it imported all slides just fine and everything was running smooth until I went to the Master Slide view. "This thread may help you: https://community.articulate.com/discuss..."